Gold is a chemical element with the symbol Au (from Latin: aurum, "shining dawn") and an atomic number of 79. It has been a highly sought-after precious metal for coinage, jewelry, and other arts since the beginning of recorded history. The metal occurs as nuggets or grains in rocks, in veins and in alluvial deposits. 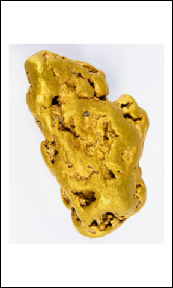 Gold is dense, soft, shiny and the most malleable and ductile pure metal known. Pure gold has a bright yellow color and luster traditionally considered attractive, which it maintains without oxidizing in air or water. 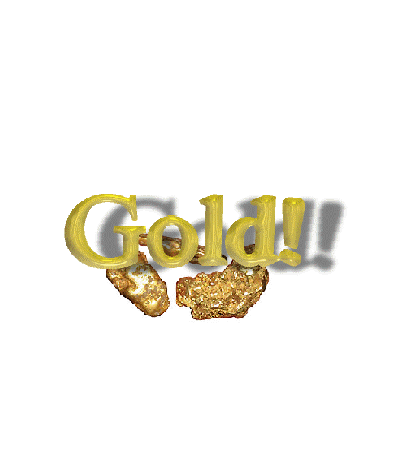 Gold is one of the coinage metals and has served as a symbol of wealth and a store of value throughout history. Gold standards have provided a basis for monetary policies. It also has been linked to a variety of symbolisms and ideologies. A total of 161,000 tonnes of gold have been mined in human history, as of 2009. 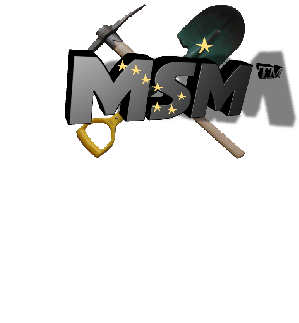 This is roughly equivalent to 5.175 billion troy ounces or, in terms of volume, about 8,333 cubic meters. Although primarily used as a store of value, gold has many modern industrial uses including dentistry and electronics. Gold has traditionally found use because of its good resistance to oxidative corrosion and excellent quality as a conductor of electricity. Chemically, gold is a transition metal and can form trivalent and univalent cations in solutions. 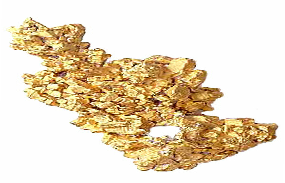 Compared with other metals, pure gold is chemically least reactive, but it is attacked by aqua regia (a mixture of acids), forming chloroauric acid, but not by the individual acids, and by alkaline solutions of cyanide. Gold dissolves in mercury, forming amalgam alloys, but does not react with it. Gold is insoluble in nitric acid, which dissolves silver and base metals. This property is exploited in the gold refining technique known as "inquartation and parting". Nitric acid has long been used to confirm the presence of gold in items, and this is the origin of the colloquial term "acid test", referring to a gold standard test for genuine value. Gold is the most malleable and ductile of all metals; a single gram can be beaten into a sheet of 1 square meter, or an ounce into 300 square feet. Gold leaf can be beaten thin enough to become translucent. The transmitted light appears greenish blue, because gold strongly reflects yellow and red. Such semi-transparent sheets also strongly reflect infrared light, making them useful as infrared (radiant heat) shields in visors of heat-resistant suits, and in sun-visors for spacesuits. Gold readily creates alloys with many other metals. These alloys can be produced to modify the hardness and other metallurgical properties, to control melting point or to create exotic colors (see below). Gold is a good conductor of heat and electricity and reflects infrared radiation strongly. Chemically, it is unaffected by air, moisture and most corrosive reagents, and is therefore well suited for use in coins and jewelry and as a protective coating on other, more reactive, metals. However, it is not chemically inert. Common oxidation states of gold include +1 (gold(I) or aurous compounds) and +3 (gold(III) or auric compounds). Gold ions in solution are readily reduced and precipitated out as gold metal by adding any other metal as the reducing agent. The added metal is oxidized and dissolves allowing the gold to be displaced from solution and be recovered as a solid precipitate. High quality pure metallic gold is tasteless and scentless; in keeping with its resistance to corrosion (it is metal ions which confer taste to metals). 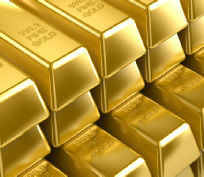 In addition, gold is very dense, a cubic meter weighing 19,300 kg. By comparison, the density of lead is 11,340 kg/m3, and that of the densest element, osmium, is 22,610 kg/m3. Whereas most other pure metals are gray or silvery white, gold is yellow. This color is determined by the density of loosely bound (valence) electrons; those electrons oscillate as a collective "plasma" medium described in terms of a quasiparticle called plasmon. The frequency of these oscillations lies in the ultraviolet range for most metals, but it falls into the visible range for gold due to subtle relativistic effects that affect the orbitals around gold atoms. Similar effects impart a golden hue to metallic cesium (see relativistic quantum chemistry). 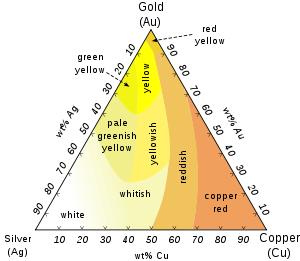 Common colored gold alloys such as rose gold can be created by the addition of various amounts of copper and silver, as indicated in the triangular diagram to the left. Alloys containing palladium or nickel are also important in commercial jewelry as these produce white gold alloys. Less commonly, addition of aluminium, iron, indium and other elements can produce more unusual colors of gold for various applications.